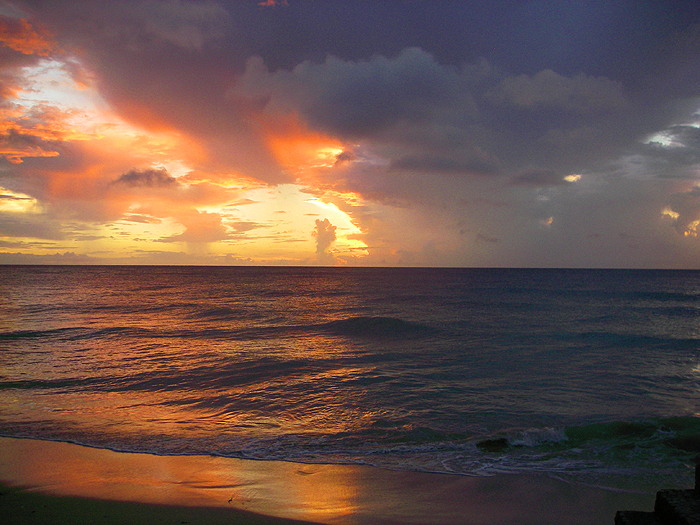 Readers of my blog will know that I've been going to Tobago for years. 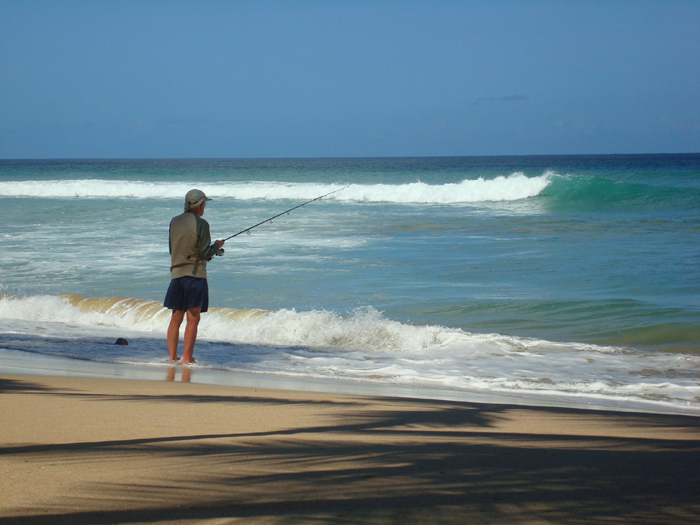 I love the shore fishing over there and my pals and I have had many memorable fish. Anyway, my wife and I have just returned from our annual, two week, holiday and although it didn't turn out quite as I expected there were periods of high excitement on the fishing front. To set the scene - now that I know a bit about the fishing on the Island I generally expect to hook roughly one big/taxing/enjoyable fish about every two days on average. So, on a two week trip I might hook half-a-dozen biggies of one sort or another plus a variety of other fish. Anyway, after I arrived I strolled down to the beach to have a chat with my local fishing buddies at Crown Point. Their first response was - "The fishing has been rubbish for two months Mike!" Just what I needed to hear - NOT!. Apparently, although there were plenty of baitfish about, the big predators were notable by their absence. However, I'd come to fish as well as having a spot of rest and relaxation and I was determined to give it a good go. 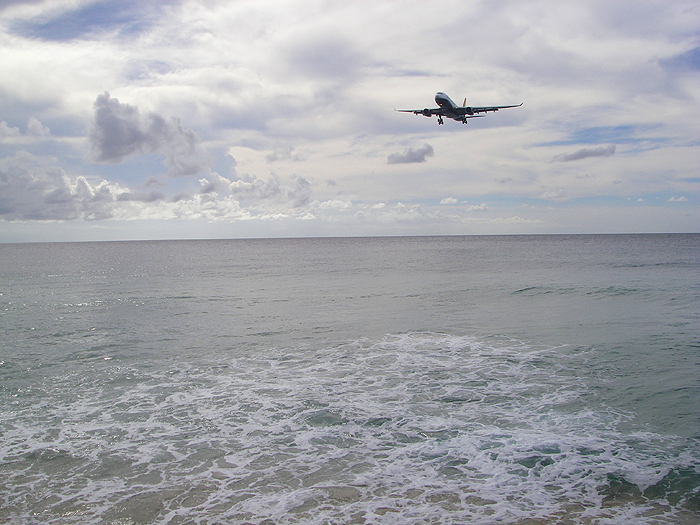 First morning - I went to the beach by the airport and began by fishing a big Yo Zuri Slider. I was using my four piece Surepopper and a Shimano stradic 4000 loaded with 30lb Whiplash braid, a metre of 20lb Amnesia and a short, knottable wire trace. The gear behaved well but nothing was foryhcoming and true to what I had been told I saw no signs of jacks, snook or tarpon - the usual inhabitants of that beach. Next morning, I repeated the exercise. At one point I snagged up on a near surface lump of coral but managed to release the lure. I casually checked the knots and trace for damage but it seemed OK. Two casts later there was a massive swirl where the lure had landed and I hooked big tarpon. The great silver fish cleared the water as it took my slider, next jump it shook its head as it leapt and smashed the 30lb Whiplash - ******!!! Must have been frayed. The following morning, at first light, I tried again. Blow me down! After about ten minutes I hooked another cracking tarpon. This time the gear was sound and I played the fish for ten minutes Time and again it made powerful runs interspersed with typical headshaking leaps into the air. I was just beginning to think about how to beach it when, on its umpteenth crashing polaris jump, it threw the lure - ****** again! Not bad for "Rubbish fishing!" I thought. After that things went down hill a bit. 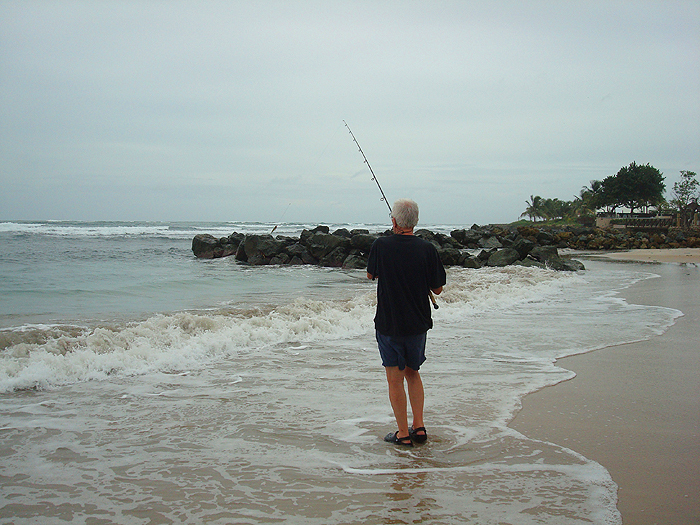 Over the next day or two, as usual I inspected and tried most of the beaches (there are many) but I saw little and I caught only a minute lizard fish (on a wedge) and tiny snook (on the fly). 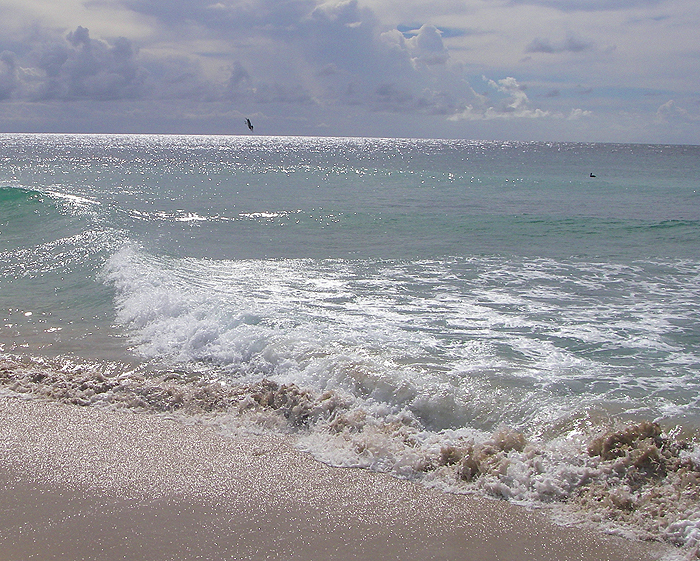 Later in the week I tried an afternoon session on one of the Atlantic beaches. Within twenty minutes I had four jack strikes on the big slider. I only hooked fourth one and I played it for ages as it made repeated fast, powerful runs with the clutch screaming in protest. I was just thinking "Where shall I land it?" when it came unstuck - ****** three times! Needless to say I tried the same beach several times after that - not a sniff. 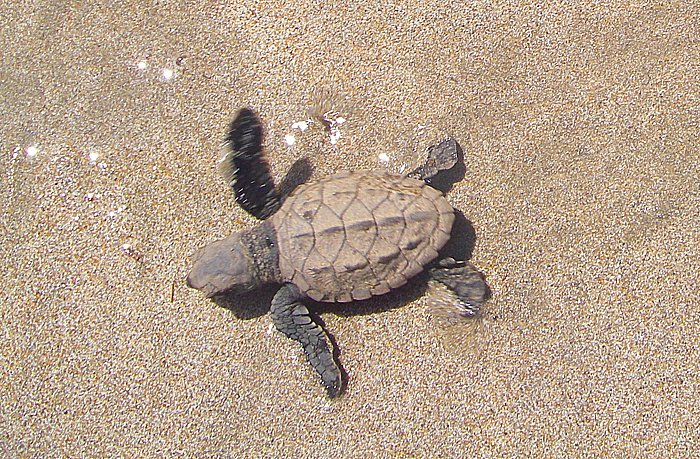 The presence of several turtle nests and baby leatherbacks at the high water mark added to the interest of the spot. My next sortie was to the lakes in the hotel grounds. These lakes contain decent tarpon and snook and are usually very reliable. 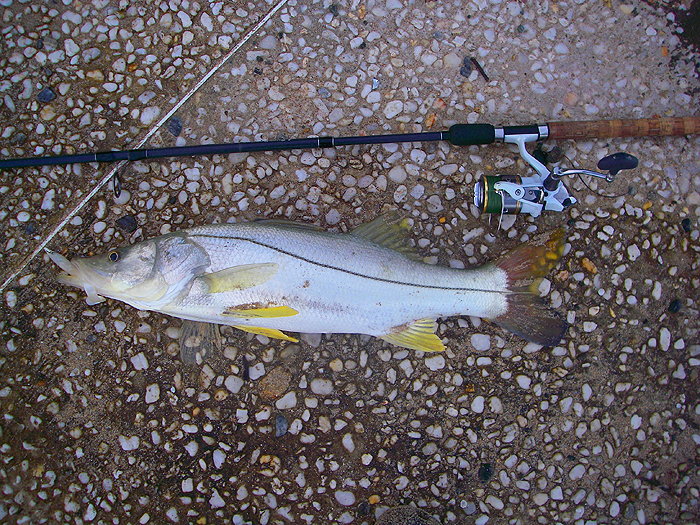 On my first attempt, using an 18cm, Pearl, Evo Redgill I hooked a good snook. After ripping off a few metres of line it jumped and threw the hook ****** repeated! On the next day we went to Buccoo beach. We found that much of the sandy strip had washed away since our last holiday - leaving most of the best areas unfishable, so I only managed mosquito bites (it was the rainy season). While we were there Lilian went in for a swim and shouted back to me - "There's a fish!" 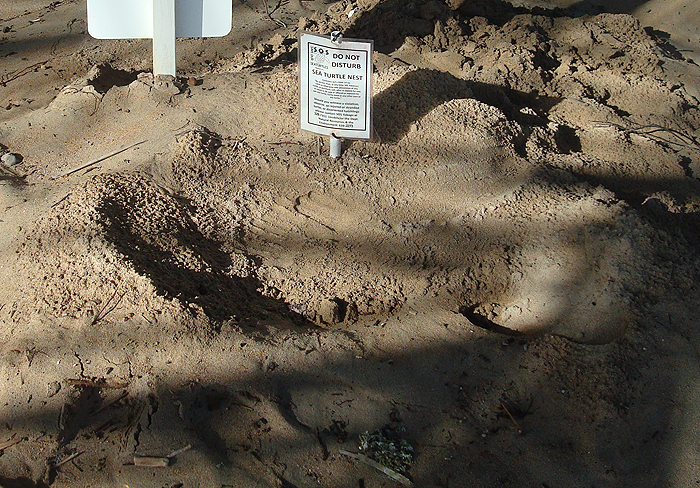 From her description I surmised that it was probably a ray of some sort. A while later it came past again and this time I saw the black shape myself. 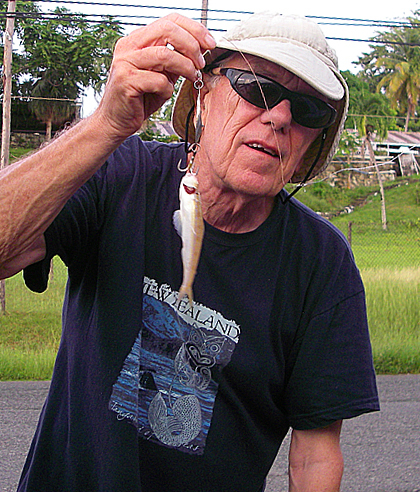 I made a desultory cast with the Black Minnow that was on my line and felt a pluck. "Surely it wasn't a bite!" I thought. I cast to it again and this time it rushed forward and grabbed the soft plastic minnow. I could see now that it was a huge eagle ray (Lilian shouted "Shark!!!!" 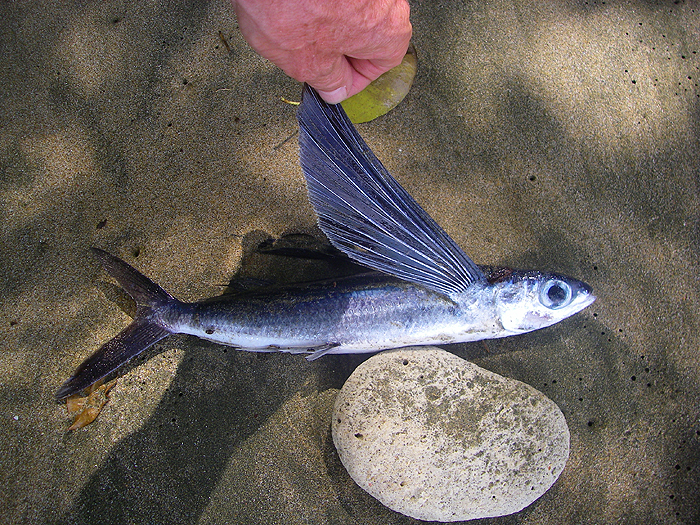 as 15cm of pointed fin wafted above the water). The ray was well hooked and set off for the horizon with me exerting maximum drag and running after it - to my wife's great amusement. After two hundred metres of line have gone at high speed (I felt as though I was attached to a Range Rover) I tried to slow it down and it pinged the 20lb nylon trace. ******! ******! ******! 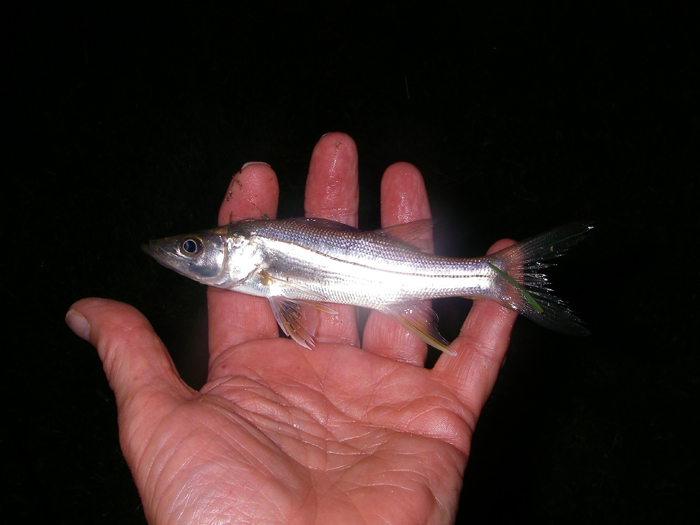 Next day I returned for another crack at to Crown Point and after a good battle landed an 8lb snook on an Evo Redgill - my only decent catch of the trip. All very exciting and nowhere near as bad as I'd been told. Six stonking fish hooked in two weeks fishing, almost par for the course. The main deficiency was in lesser species but I don't mind that. We had a cracking holiday despite having to change a wheel while driving through the rain forest (helped by a good Samaritan, rainforest guide Junior Thomas, who stopped to give me a hand). The tyre burst in one of the many potholes. Now I feel like a spot of gentle piking to calm my nerves.